HTC is one Church in four congregations across the city of Chicago. Join us at one of our services in Chicago. Services are held at 50 E. Erie St. (The Murphy). Nursery and Kid City are provided during the 10:30am service. Services are held at Ray Elementary Auditorium. Services are held at 2318 W Roscoe St. Chicago, IL (Lakeview Seventh Day Adventist Church). 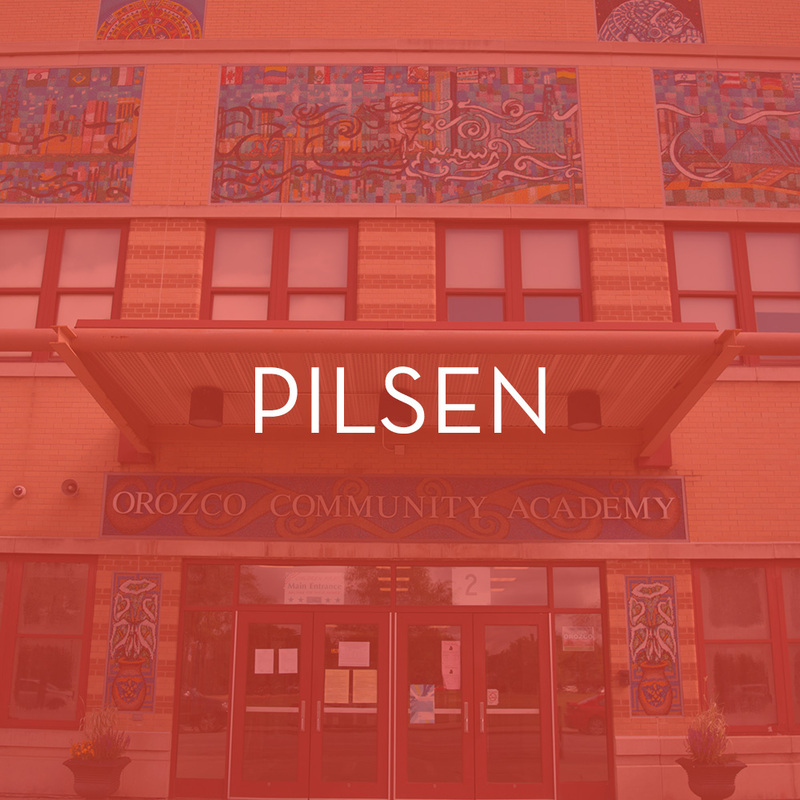 Services are held at Orozco Community Academy (1940 W 18th St, Chicago, IL). Welcome to Holy Trinity Church's Downtown congregation! 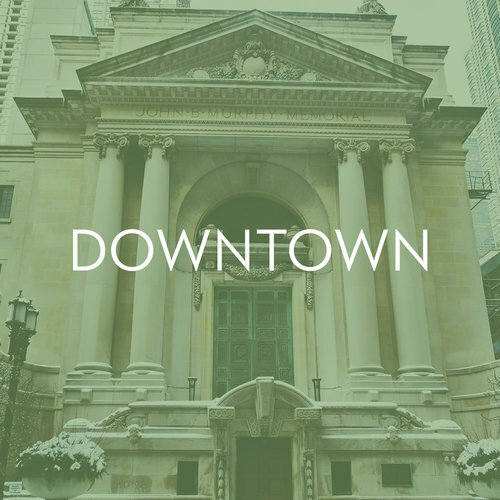 Our Sunday services are located in the heart of the city and are comprised of attenders from all over Chicagoland. We are committed to Jesus Christ and are passionate about serving families, individuals, and students to know and follow Him. Please look below to find our Sunday service and ministry times, along with parking information. We look forward to meeting you! Nursery and Kid City are provided during both services. Coffee is served before the morning services. Reduced rate parking is available at 10 E. Ontario. Parking validations (for up to 12 hours) are available for $6 at the Welcome Table. Free street parking is available on 56th and 57th Streets and on Kimbark Ave. Welcome to Holy Trinity Church's North Side congregation! Those who are part of the HTC North Side church community live in neighborhoods such as Lakeview, Lincoln Park, Wrigleyville, Uptown, Ravenswood, Roscoe Village, Lincoln Square, North Center, Albany Park, Edgewater, Jefferson Park and beyond. We love the North Side, so we live, serve, bless, socialize and worship on the North Side. You are welcome to check out our community to see if HTC North Side is where God is leading you. Parking is available in a small parking lot that is accessed through the alley. Otherwise there is plenty of street parking around the church. Parking is available on 18th St. or the parking lot north of the school on 17th St. Subscribe to the newsletter to receive the latest HTC updates.